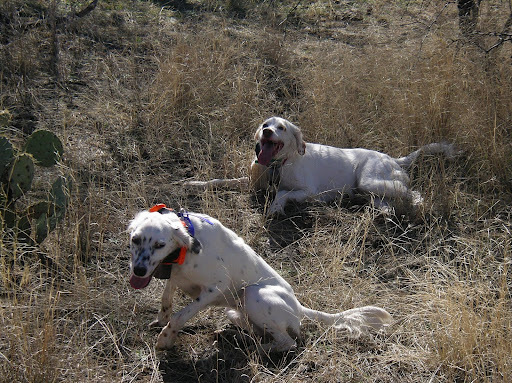 English Setters, Grouse River Kennels, Quail and Quail hunting, Quilomene Co. 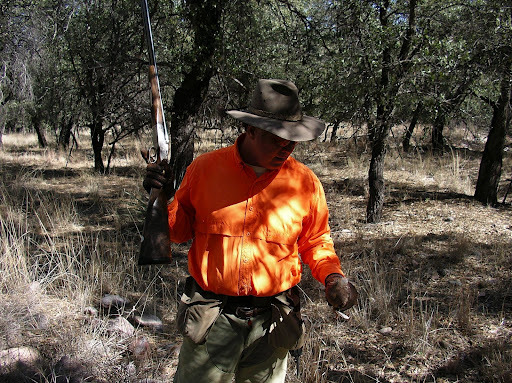 He was hunting in Southern Arizona’s Mearn’s Country…they’d been hunting hard all day in those steep, slippery, gaud-awful rocky draws and were exhausted as they emerged from the nasty thickets. A stranger was standing next to their vehicle waiting to discuss the events of their day. 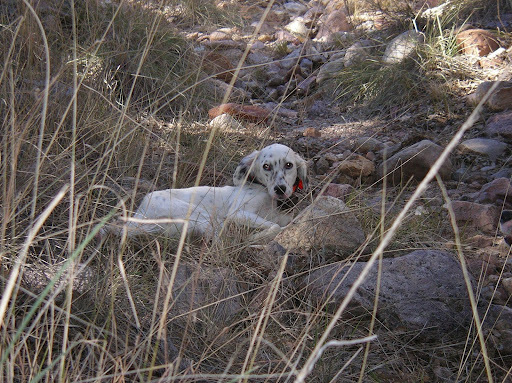 This mysterious bystander struck up the conversation with my friend and his hunting party by stating that the group almost brought tears to his eyes when they emerged from the draw…the guys thought that that was a weird statement and of course asked him the question “Why?” The stranger’s response was that they were hunting his favorite breed of bird dog (English Setters) and they were all wearing the vest he invented. I really love my Quilomene Vest! A client gave me one a few years ago for suturing up his dog in a Kansas field (it’s handy to have your vet as a hunting partner!). I like that I can carry two full 2 liter bottles of water in the back pouches for the dogs and the water in the bag for me without feeling bogged down or uncomfortable. 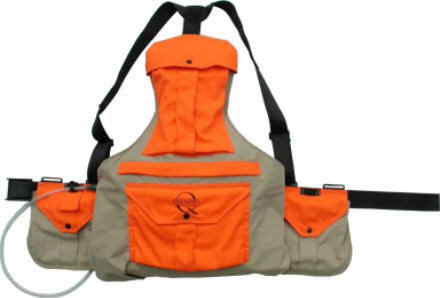 This comes in handy for those LONG-all-day-hunts that we all do…specially you chukar hunting fanatics can appreciate this! 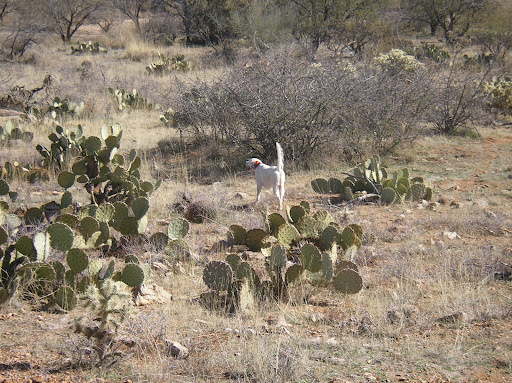 I also think that it’s pretty neat that it was developed by a bird dog guy too! Next Post FIRST TROUT OF THE YEAR, SPRING IS ALMOST HERE. 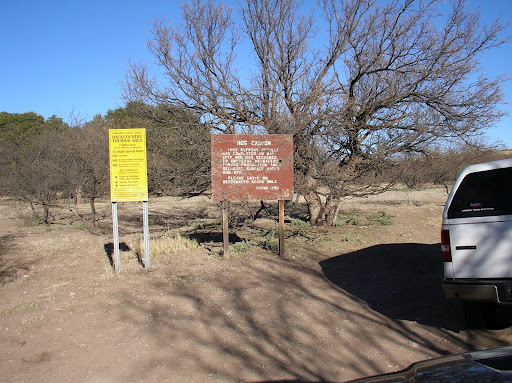 Shawn,I can’t say enough about Steve, perhaps over a campfire or mid day in a Ks creek bottom but he has been a mentor since I first learned about him while working with his daughter in a Colorado rest.. I’ll see him this weekend at a trial and mention you.